If you're in the Camden area on the 11th May, then why not pay a visit to The Invisible Dot where you can catch a rare screening of Ghostwatch followed by a Q&A with director, Lesley Manning and writer, Stephen Volk? 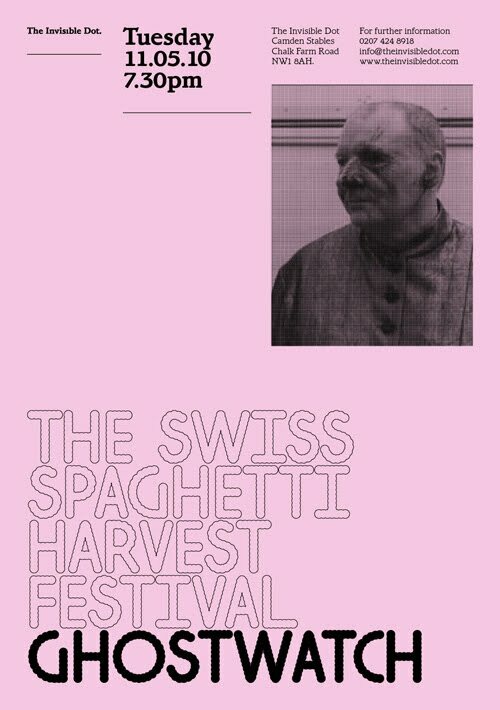 Part of the Swiss Spaghetti Harvest Festival of fact/fiction line blurrers, Ghostwatch will screen at 19:30 with a Q&A to follow. ...Trust me when I say that you haven't seen Ghostwatch until you've seen it on the big screen. Tickets cost £9.50. For more information, check out The Invisible Dot's Ghostwatch page by clicking here. I will definitely be there. Can't wait!! !